It is no coincidence that the landscape of the earth is identical to that of the heart. The work of Swiss poet and writer, Regina Ullmann, is permeated with an abiding sadness that seems to speak to the core of human existence. Her language, contemplative without moralizing, pierces the surface of the façades we present to the world. Encountering her work, one has the sense that she is drawing on a deep, dark well. But light filters through, creating a canvas that evokes rural and small town life in the early decades of the twentieth century—a world inhabited by farm labourers, young girls and women harbouring secrets, lonely old folk, circus performers, and hunchbacks. Ullmann was born in Gallen, Switzerland, in 1884, into the family of a Jewish-Austrian businessman. Her father died when she was only a few years old. In 1902, she and her mother moved to Munich, where she would first read a number of the key poets of the day, including Rainer Maria Rilke who would become an important mentor and patron. However, Ullmann’s personal life was difficult. She had two daughters out of wedlock, the second with psychoanalyst Otto Gross, who left her emotionally wounded. Depression dogged her, worsening after her mother’s suicide in 1938. Her conversion to Catholicism in 1911, a move that greatly informed the tone of her work, was not sufficient to prevent her expulsion from the German Writers Association in 1935 on the basis of her Jewish heritage, so she left Germany, spending several years in Austria before relocating to her Swiss birthplace, where she would remain for over twenty years. She returned to Germany only a few months before her death in early 1961. Throughout her career, Ullmann, won critical praise from the likes of Thomas Mann, Hermann Hesse and Robert Musil—in addition to her champion Rilke—but she remained largely unknown and often struggled to make ends meet. 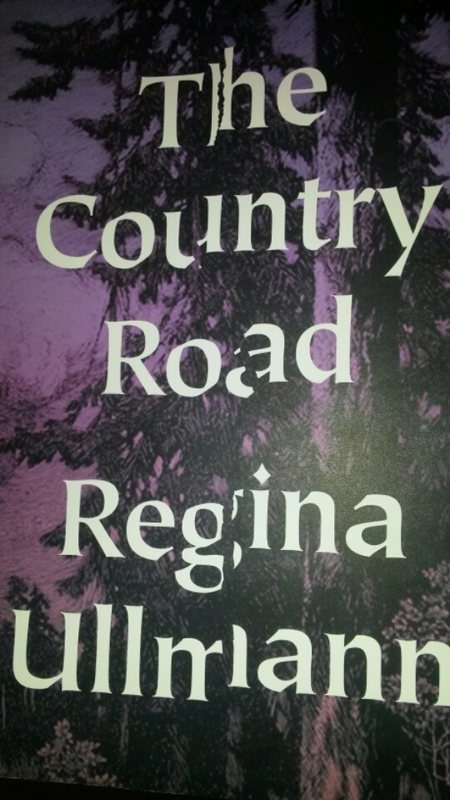 She was, perhaps a step out of time, a modernist trailing ghosts of the past, but with the release of her 1921 story collection, The Country Road, in English translation (by Kurt Beals, New Directions, 2015), her fragile, haunting work is offered a new lease on life. And I, for one, was ready to meet her. Summer, but a younger summer than this one; the summer back then was no more than my equal in years. True, I still wasn’t happy, not happy to my core, but I had to be in the way that everyone is. The sun set me ablaze. It grazed on the green knoll where I sat, a knoll with almost sacred form, where I had taken refuge from the dust of the country road. Because I was weary. I was weary because I was alone. This long country road before and behind me… The bends that it made around this knoll, the poplars—even heaven itself could not relieve my bleakness. I was ill at ease, because just a short way into my walk, this road had already dragged me into its misery and squalor. It was an uncanny country road. An all-knowing road. A road reserved for those who had been, in some way, left alone. In a sense, this opening sets the tone for the entire collection, evoking a landscape with its illusory freedom that will reappear again and again, balanced against the confined spaces—rented rooms, taverns, houses—occupied by people who often live alone or are drawn into shared solitude. Her narrators tend to affect a dispassionate distance, a non-judgemental piety, whether telling their own stories or imagining the thoughts and motivations of others; however, there is a persistent awareness of social stigmatization against which the most disadvantaged of her characters are regarded or disregarded. Ullmann’s world is one in which deeply burdened souls cross paths, rarely unveiling the true nature of the crosses that they bear. Perhaps you will argue that the three of us had never learned to go without. But what does it mean to go without—assuming that we really couldn’t do it—if not to take pleasure in looking at things. We returned from our trips to the market feeling sated, and often we hadn’t bought a single bouquet, a single basket of early cherries. And the treasure chests of our minds was wide open. But the little mirror inside that chest had only to reflect the ground; it showed the stand piled high with fruits and vegetables. But we felt how that world, like jewelry and old music, was transformed and passed over into us. But if he didn’t know this love, it surely knew him. It always recognized him. It knew if he lifted the pitchfork, how he lifted it, whether he took large steps or stood still, where he stood and dreamt. And when he slept, it took the power of its dreams for its own, and dreamt for him. He was climbing a fir tree, up to the top and then beyond. He didn’t even notice he was past its tip. And so he fell over it, down to the ground, and lay there with dream-shattered limbs, on the edge of the forest, and yet in his bed, and it was night, or morning. It didn’t matter, anyway. In the end, as human desire meets the force of nature, with savage intensity, Ullmann maintains a measured poetic account that is as breathtaking as it is brutal. This is a collection that is at once perfectly pitched my current state of sorrow, grief, and depression—and yet stunningly beautiful to read. Ullmann’s vivid imagery, her lost and lonely characters, and the gentle, thoughtful pace of her prose offers unexpected comfort for the weary soul. This is, in the end, an offering of small and tender joys. This sounds like a really wonderful collection. The quotes you’ve chosen are beautiful. I thought the quotes would speak more effectively than I could. There are so many perfect lines and passages. Like Cathy, I too was struck by the melancholy beauty of the writing. Not an author I’m familiar with, so thank you for the introduction. When the quotes praising her work on the back come from the likes of Rilke, Hesse, Mann, and Musil, it’s bound to be special! Wonderful review and introduction to a new-to-me author, Joe. I shall read this myself soon. Thank you for drawing my attention to this author, whom I’ve never attempted to read before. It sounds like very thoughtful, melancholy and yet restful writing. Sometimes difficult times call for works like this. It speaks to the sadness we bear. I’m so glad this has been translated. I understand she was only recently re-released in German (maybe a few years back), so perhaps she will finally get attention she deserves. Like others above, I hadn’t heard of this writer – you paint an intriguing picture. I owe translator Isabel Fargo Cole for calling attention to this book on her Facebook page. I trust her taste and made immediate note. I’ve had it on for a few months but once I started reading I was blown away. I loved her language. I’ve not come across this author, but those quotes are breathtakingly beautiful and so evocative – even the rhythm echoes with the steps of one used to walking alone. Wonderful. It is fairly recent and, to date, I don’t know if there is a UK publisher. Hope it gets more attention. Wow, what an opening! Love all the excerpts, each very beautiful. You can tell she is a poet. I could dine on her language for a long time. No wonder Rilke was such a fan! This sounds so rich and beautiful. It’s interesting that books find us when we need them, isn’t it? Such beautiful, haunting writing but yes, from the passages you’ve chosen there are signs it’s a positive reading experience despite the raw, brutal honesty she captures. Sometimes a melancholy book is very good company. Especially when the language is so moving.